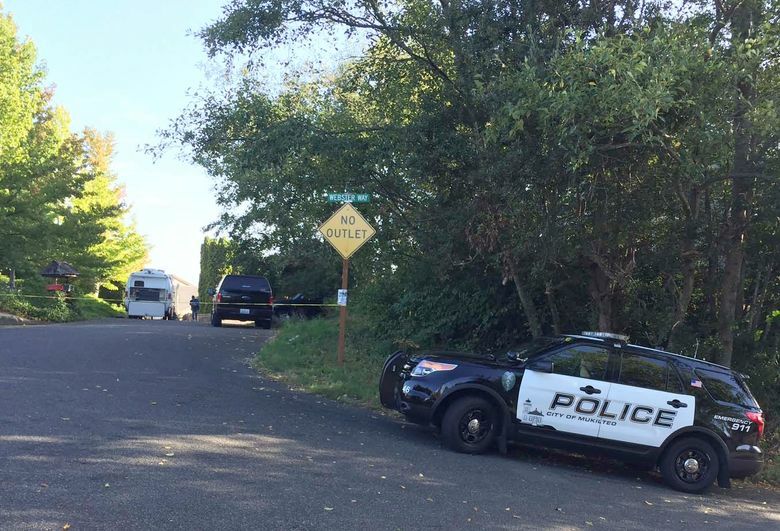 A 19-year-old suspect is being held in Snohomish County Jail, awaiting a court appearance Monday, after three young adults were shot dead and one was injured at a house party early Saturday. 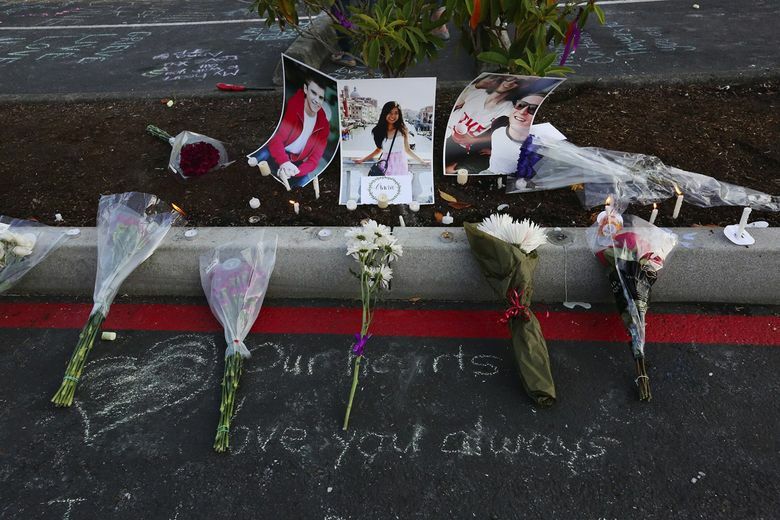 Hundreds of young people gathered at Mukilteo’s Kamiak High School on Saturday night, devastated after three of their friends were shot to death at a house party. 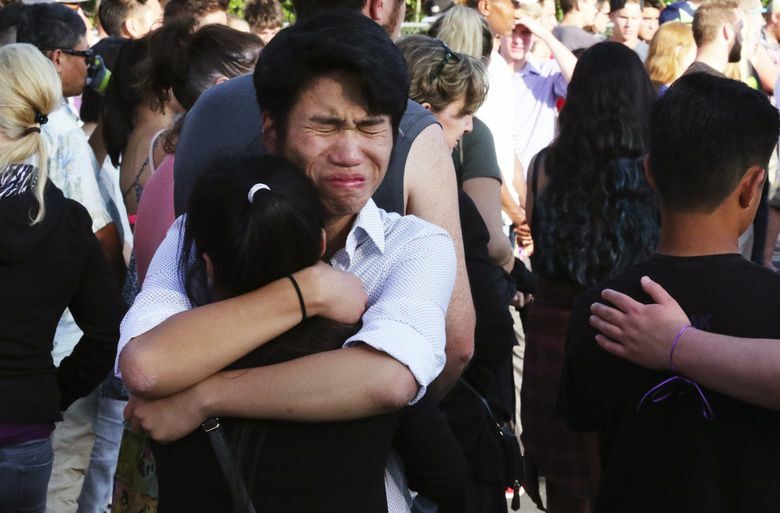 Nicola Harris, who turned to Facebook to help organize the vigil, said her friend Anna Bui “was an extremely happy and grateful person.” The two, recent Kamiak graduates, sang together in the choir. 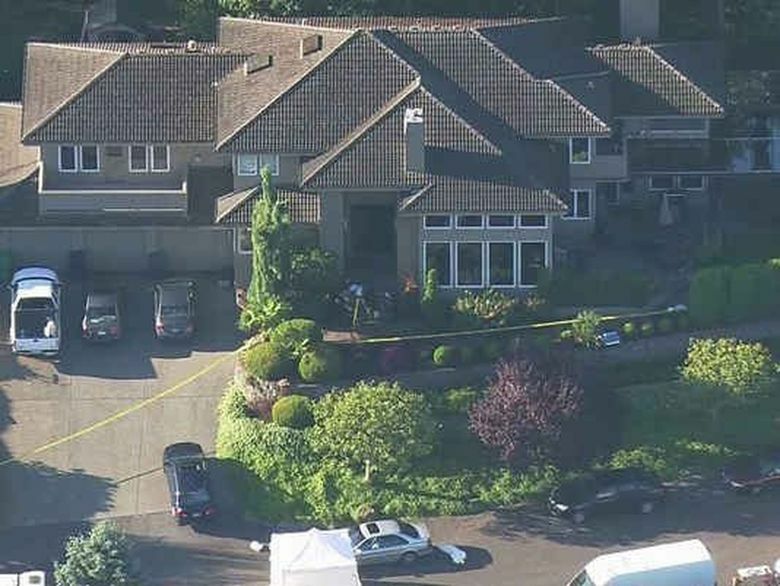 Bui and two young men died, and another man was injured, when a gunman attacked a gathering of young adults at a Mukilteo home early Saturday. A 19-year-old man known to some at the house — and a former boyfriend of one of the victims — was later arrested on suspicion of murder. 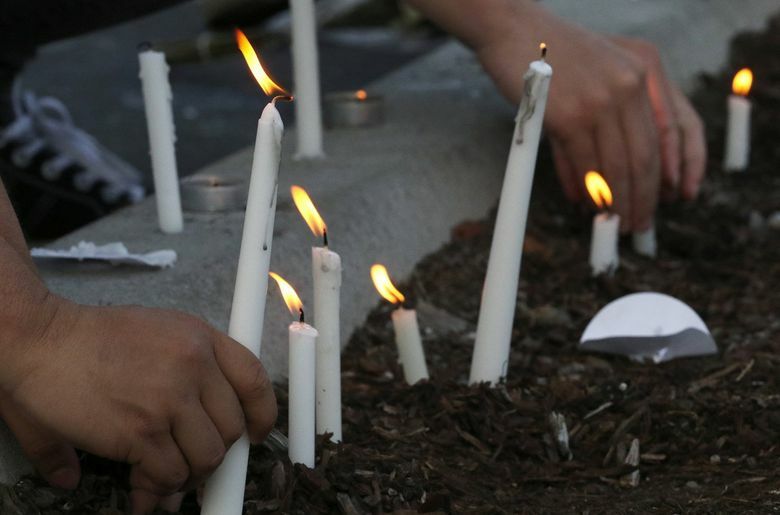 Officials have not publicly identified the victims, but friends openly shared the names of those who died at the vigil Saturday night, and earlier on social media. 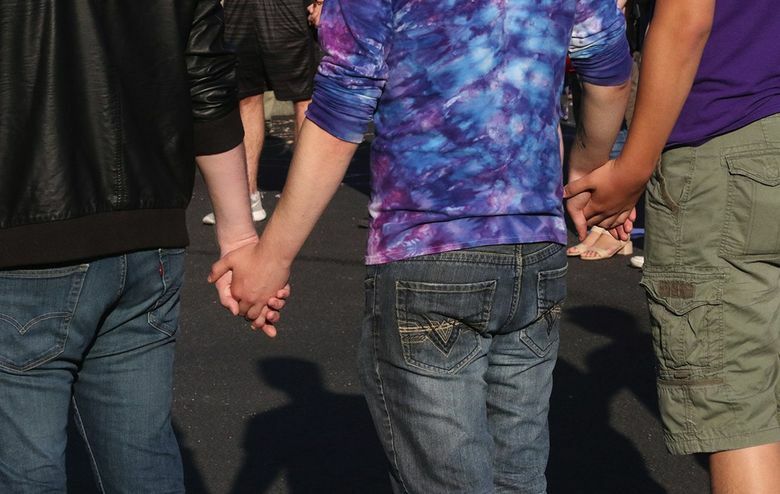 Along with Bui, mourners named Jake Long and Jordan Ebner as those killed. 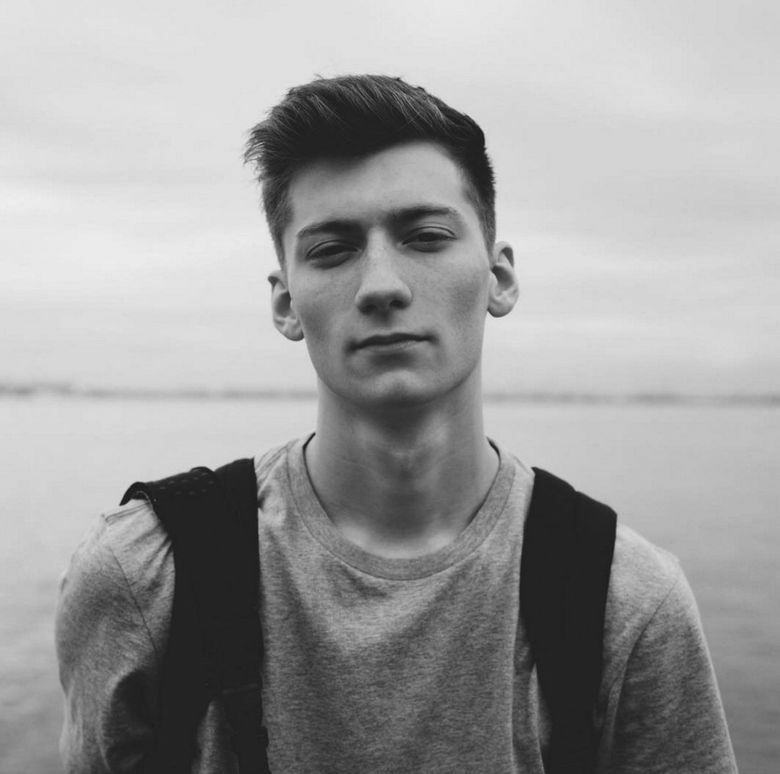 The injured man, Will Kramer, 18, was in serious condition in intensive care Saturday night at Harborview Medical Center in Seattle. He graduated from Kamiak in 2015. 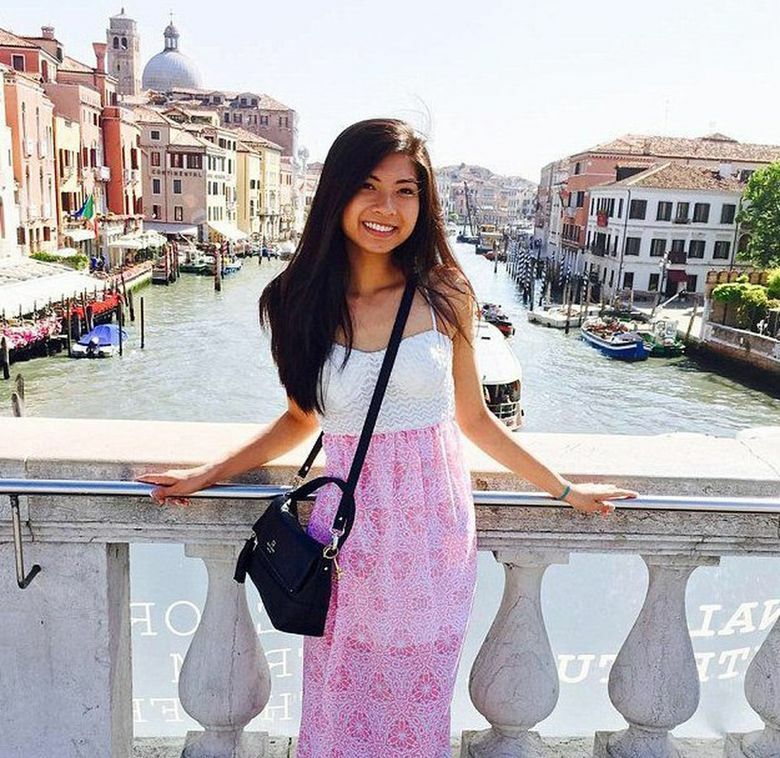 Harris, 20, said her slain friend Bui had recently returned from Europe and had been posting excitedly about the trip on Facebook. Harris said she lives near where the shooting occurred. Police were called at 12:08 a.m. to the house on 64th Place West in the Chennault Beach neighborhood. They found three people dead, Mukilteo police Officer Myron Travis said. The gunman drove off after the shooting. About 90 minutes later and about 100 miles away, state troopers near Chehalis pulled over and arrested 19-year-old Allen Christopher Ivanov. He was booked into Snohomish County Jail on Saturday afternoon for investigation of three counts of murder, according to the jail’s online register. He is expected to appear in court Monday, Travis said. Ivanov has not been charged. 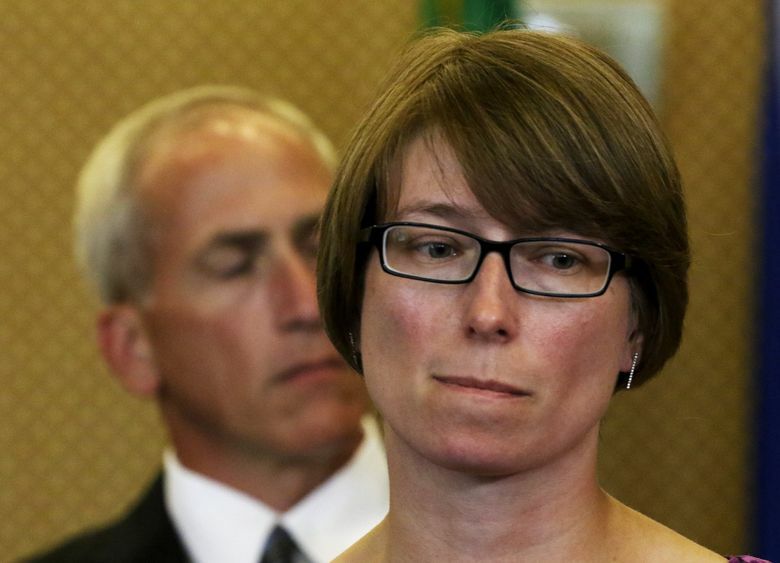 The Seattle Times typically does not name suspects until they are charged. It is naming Ivanov because police said witnesses at the house identified him to officers and described his vehicle. Susan Gemmer, whose 18-year-old granddaughter was at the party and at one point hid in a closet, told The Associated Press of a terrifying sequence of events. 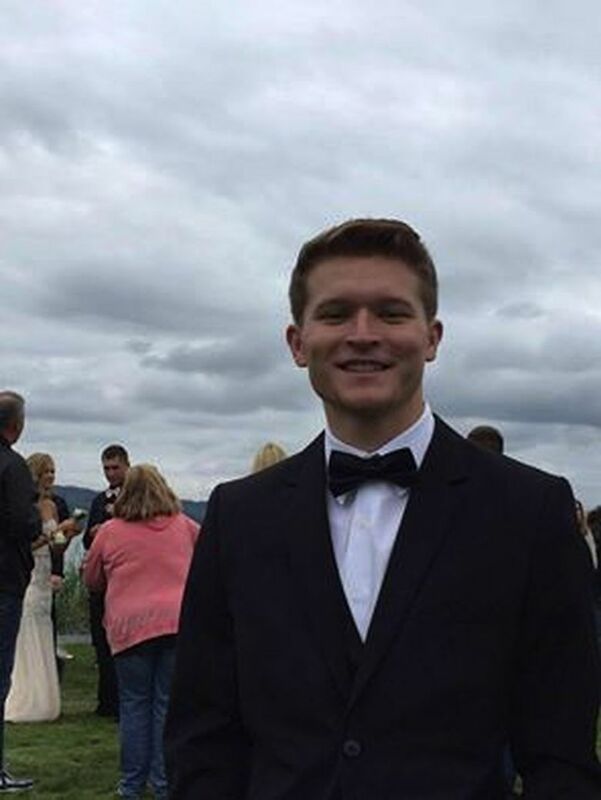 Gemmer said that according to Alexis, the gunman arrived with a rifle at the party of about 15 to 20 friends from Kamiak — mostly recent graduates aged 18 to 20. The gunman walked through the house to the firepit out back, where he shot two people. Those present knew the gunman, Gemmer said, and he and one of the victims had recently broken up. The shooter made his way onto the roof, where some of the friends were hanging out, she said. The young man who lived at the home tried to lead Alexis Gemmer to safety by escaping out the garage. As they rolled under the garage door and he bolted across the street, the gunman began shooting at him from the roof, her granddaughter told Gemmer. “She panicked and ran back in the house and hid in the closet until police arrived,” Gemmer said. The young man made it across the street. 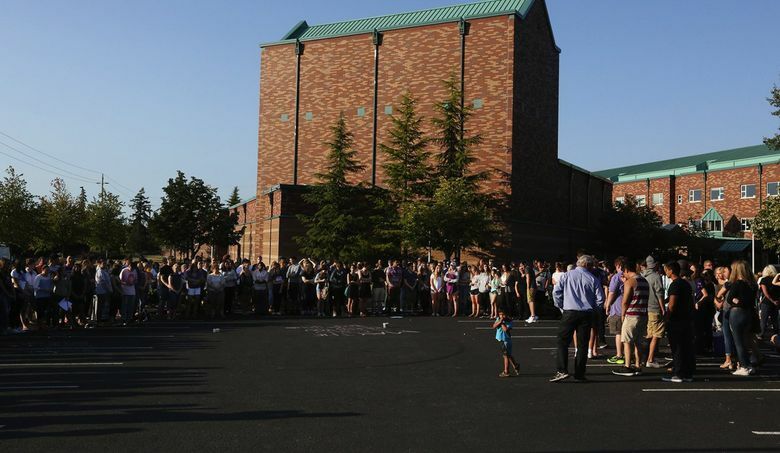 At the vigil Saturday evening, Jansen Garside, a friend of Jake Long’s since the fourth grade, said the two had exchanged text messages in the hours before the shooting. They were planning to spend time together Saturday, Garside said. “He was completely selfless,” he said of Long. “There’s not a shred of me that thought he was capable of this,” Garside said. 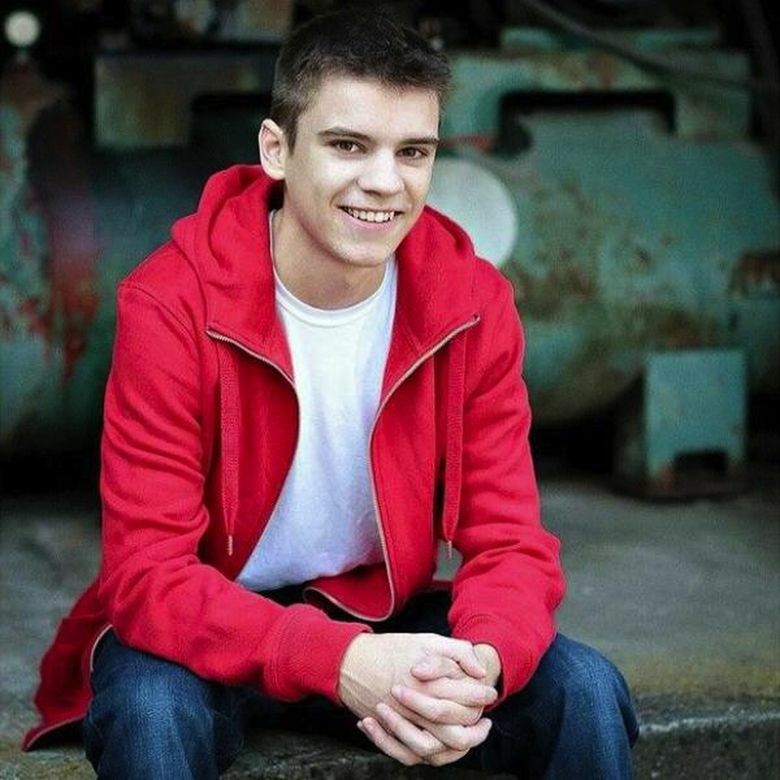 Jordan Ebner, the older of two sons, graduated from Kamiak in 2015 and enrolled later that year at Everett Community College, according to a family member who asked not to be identified. Ebner most recently had lived with his father, Brad, in Lake Stevens. His brother, Jacob, is a junior in high school, the relative said. Mukilteo Mayor Jennifer Gregerson, at a pre-dawn media briefing at City Hall, said “Our community has suffered a great loss tonight. “There were many young people who saw and heard things that no one should ever experience,” she said. 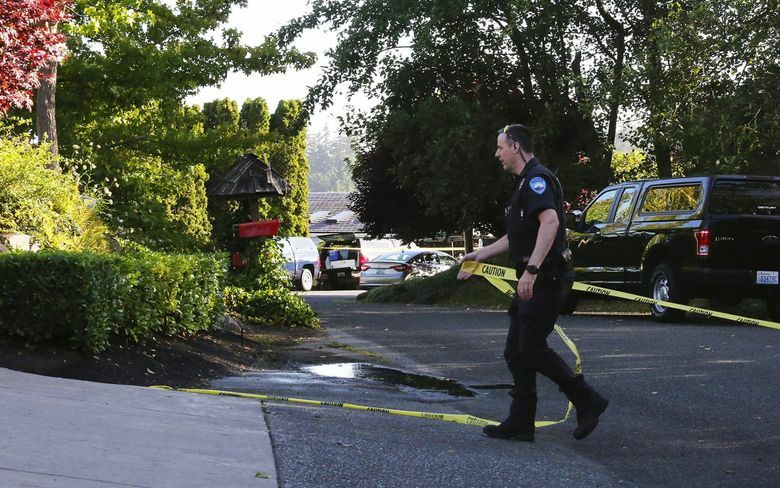 The killings occurred in a neighborhood with sweeping views of Puget Sound. Dalton Staley, who lives less than a block from the house where the shootings occurred, recalled coming home from an evening out, stepping from his car and hearing shots. He remembers a series of shots, a pause, some screams, then more gunfire. Staley, 21, said he called 911 and went inside. Kenny Slade also heard gunfire from his home about two blocks away. “I could hear large-caliber rapid fire, a series of shots,” said Slade. It lasted several minutes, he said. At a Saturday afternoon briefing, Travis said he had no information on what type of firearm the shooter used. He said authorities have no reason to believe that anyone other than the suspect in custody was involved in carrying out the shooting. “We’re not actively looking for anyone else,” he said. 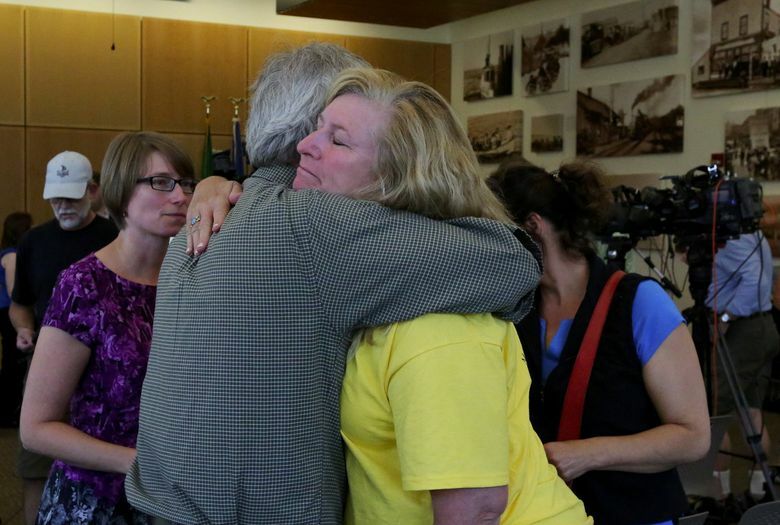 Travis called the shooting the worst incident in Mukilteo in many years. In the hours after the shooting, law-enforcement officials interviewed those who were at the house and reunited them with their families afterward at a church. Based on those interviews, law-enforcement agencies in a broad area received a description of the suspect. According to the Washington State Patrol, the man was driving a Subaru WRX. He was stopped about 1:50 a.m. heading south on Interstate 5 near Chehalis. He was driving about 68 mph in a 50-mph zone. Ivanov was taken into custody without incident, according to the Patrol. A crying woman who identified herself as Ivanov’s mother declined to speak with a reporter about her son during a phone call Saturday evening. “Imagine your favorite first-person shooter video game in real life,” the page said of the system. 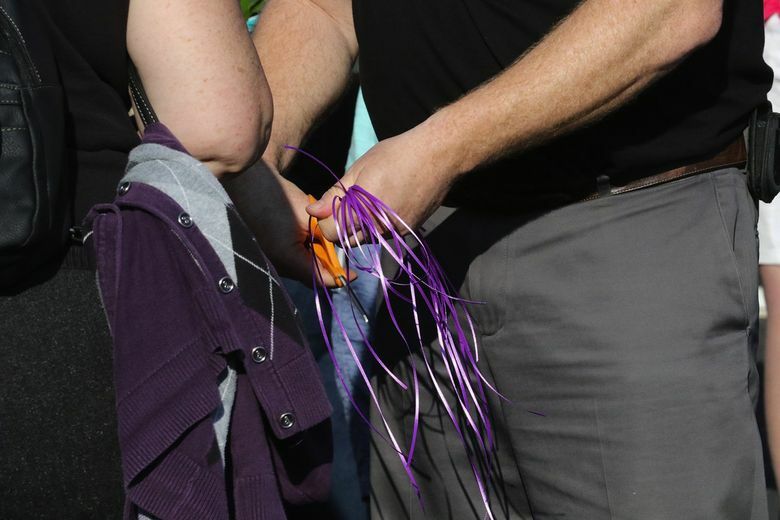 Victor Balta, a University of Washington spokesman, said a student matching Ivanov’s name and age has been enrolled at the university’s campus in Bothell. The Twitter account with Ivanov’s name indicated he followed the two slain men, Ebner and Long. Earlier in the week, someone using an Instagram account with the handle @allenivanov posted a photo of a rifle and three bullets. The Ivanovs’ neighbors said law-enforcement officials spent several hours at the home Saturday morning. One neighbor, who asked not to be identified, said she watched an official talk with Ivanov’s mother. “I will never forget the look on her face. The pain and the anguish. She lost her kid today, too,” the neighbor said. Another neighbor, who also asked not to be identified, said she has known Ivanov and his family for about 10 years. She described him as a bright, handsome young man who had taken Advanced Placement courses in high school and who had recently bought a new car. At least outwardly, “he seemed to have his life together,” the neighbor said. 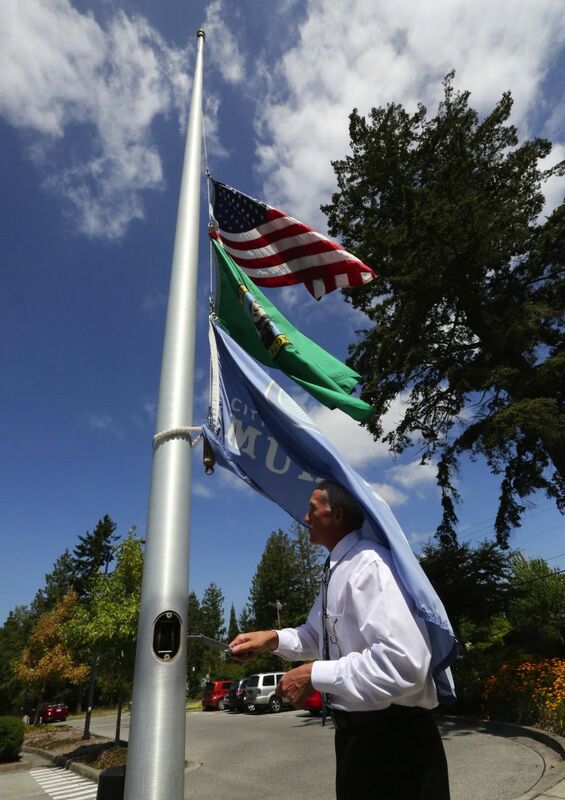 Shortly before 1 p.m. Saturday, the flag in front of Mukilteo City Hall was lowered to half-staff. 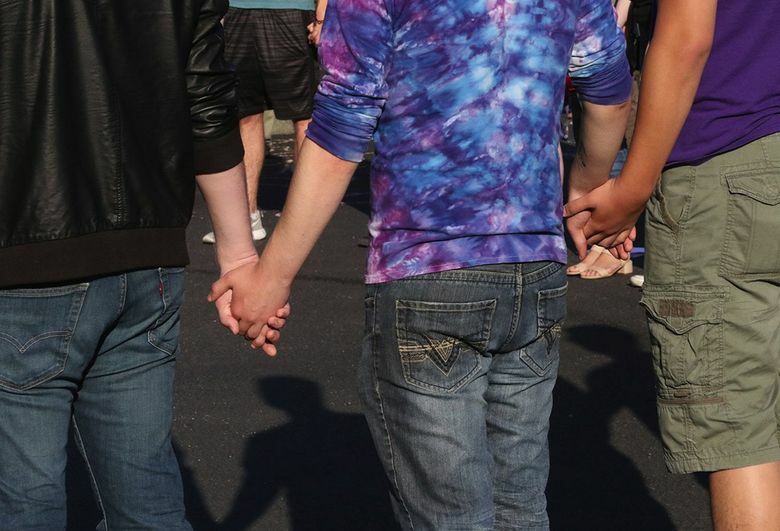 As Saturday evening’s vigil wound down, people lingered in small groups at the high school to share hugs. 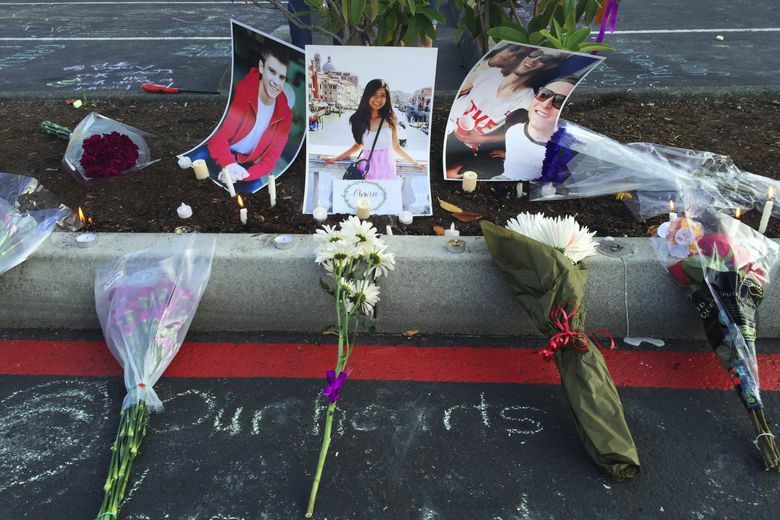 At one end of the parking lot, pictures of each of the three slain youths were propped up against a bush flanked by flower bouquets and candles. Seattle Times staff reporters E.J. Smith III, JoNel Aleccia and Lewis Kamb and news researcher Miyoko Wolf contributed to this report, as did The Associated Press. 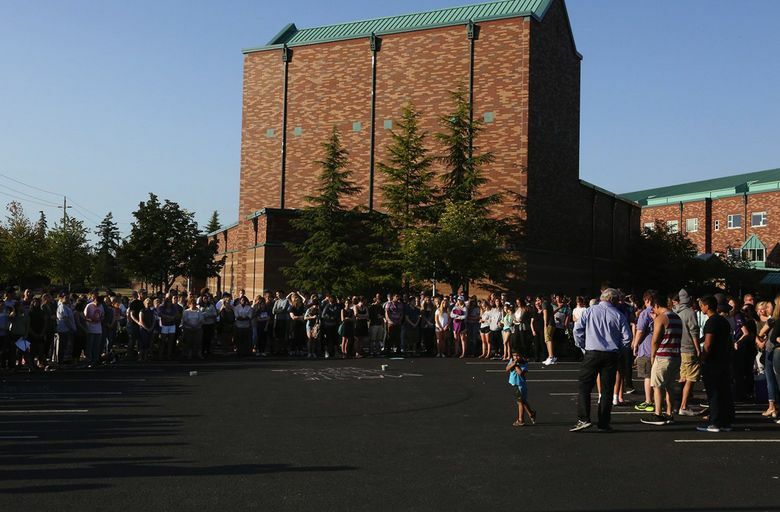 Sunday evening vigil: A community vigil will be held at 7 p.m. Sunday at Mukilteo’s Church of Jesus Christ of Latter-day Saints, 11001 Harbour Point Blvd., Mukilteo.